I recently became engaged in a conversation with a parts marketing manager of a major mobile hydraulic equipment manufacturer. He expressed the view that the contamination control message had been oversold at his company. I agreed it has certainly reached saturation point - meaning that anyone listening has at least heard the message. That’s a plus when it comes to improving reliability. But is best-practice contamination control a silver bullet for hydraulic equipment reliability? These days, best-practice contamination control is more like an accepted precondition for reliability. And given contemporary advances in technology for excluding and removing contaminants, it could be said that failure to control contamination is a failure of machine design. Beyond contamination control, where can we look for measurable gains in hydraulic equipment reliability? 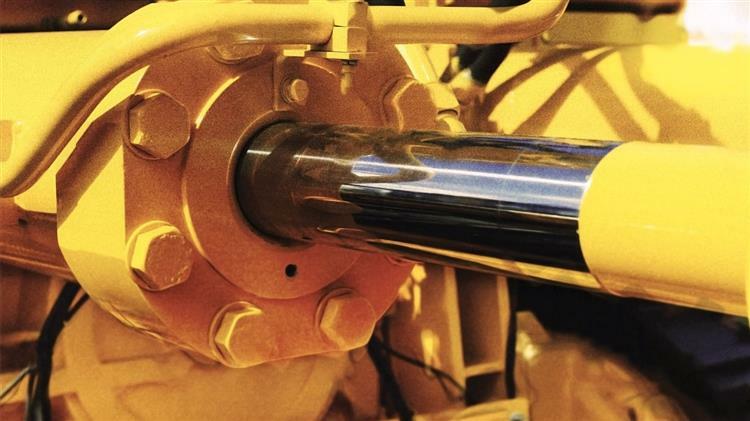 In today’s high-performance hydraulic systems, maintaining fluid viscosity within optimum limits is imperative to maximizing the service life of hydraulic components. The viscosity of petroleum-based hydraulic fluid decreases as its temperature increases and conversely, viscosity increases as temperature decreases. Limits for fluid viscosity and fluid temperature must therefore be considered simultaneously. Low fluid viscosity causes loss of lubricating film strength, which leads to boundary lubrication conditions, scuffing and adhesive wear. Excessively high fluid viscosity damages system components through cavitation. Hydraulic fluid temperatures above 82°C (180ºF) damage most seal compounds and accelerate oil degradation. 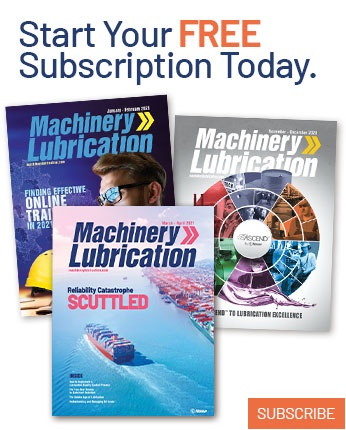 A single overtemperature event of sufficient magnitude can permanently damage all the seals in an entire hydraulic system, resulting in numerous leaks. The by-products of thermal degradation of the oil (soft particles) can cause reliability problems such as valve-spool stiction and filter clogging. ensuring that both fluid temperature and viscosity are maintained within the defined limits. Manufacturers of hydraulic components publish permissible and optimal viscosity values, which can vary according to the type and construction of the component. Generally, operating viscosity should be maintained in the range of 100 to 10 centistokes (460 to 80 SUS); however, viscosities as high as 1,000 centistokes (4,600 SUS) are permissible for short periods at startup. Optimum operating efficiency is achieved with fluid viscosity in the range of 36 to 16 centistokes (170 to 80 SUS) and maximum bearing life is achieved with a minimum viscosity of 25 centistokes (120 SUS). permissible and optimum viscosity range for individual components in a system. For example, consider an application where the minimum ambient temperature is 15°C, maximum operating temperature is 75°C, the optimum viscosity range for the system’s components is between 36 and 16 centistokes and the permissible, intermittent viscosity range is between 1,000 and 10 centistokes. Figure 1 illustrates that to maintain viscosity above the minimum optimum value of 16 centistokes at 75°C, an ISO VG68 fluid is required. At a starting temperature of 15°C, the viscosity of VG68 fluid is 300 centistokes, which is within the maximum permissible limit of 1,000 centistokes at startup. Having established the correct fluid viscosity grade, the next step is to define the fluid temperature equivalents of the optimum and permissible viscosity values for the system’s components. By referring to the temperature/viscosity curve for VG68 fluid in Figure 1, it can be seen that the optimum viscosity range of 36 to 16 centistokes will be achieved with a fluid temperature range between 55°C and 78°C. The minimum viscosity for optimum bearing life of 25 centistokes will be achieved at a temperature of 65°C. The permissible, intermittent viscosity limits of 1,000 and 10 centistokes equate to fluid temperatures of 2°C and 95°C, respectively (Table 1). Going back to the example, this means that with an ISO VG68 fluid with a VI similar to that shown in Figure 1 in the system, the optimum operating temperature is 65°C. Maximum operating efficiency will be achieved by maintaining fluid temperature in the range of 55°C to 78°C. And if cold-start conditions at or below 2°C are expected, it will be necessary to preheat the fluid to avoid damage to system components. Intermittent fluid temperature in the hottest part of the system, which is usually the pump case, must not exceed 95°C. Having defined the parameters shown in Table 1 for a specific piece of hydraulic equipment, damage caused by high or low fluid temperature (low or high fluid viscosity) can be prevented. Recurring PM tasks in respect of this routine can be virtually eliminated by installing fluid temperature- monitoring instrumentation with alarms and shutdowns. Overtemperature alarm - temperature at which viscosity falls below minimum optimum. Overtemperature shutdown - temperature at which viscosity falls below minimum permissible. Undertemperature - temperature at which maximum permissible viscosity is exceeded. 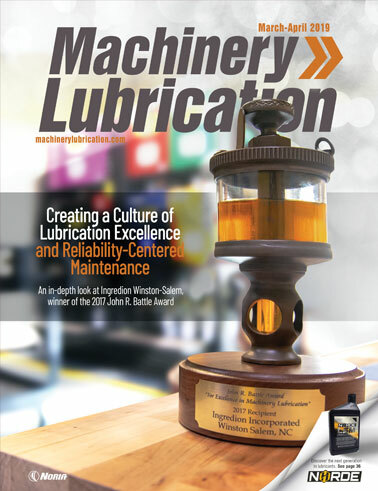 In addition to the reliability gains that can be achieved through defining and maintaining optimum fluid viscosity, continuous monitoring of hydraulic fluid temperature can reveal problems such as increased internal leakage, aeration and cavitation, making it an effective and inexpensive condition-monitoring technique.